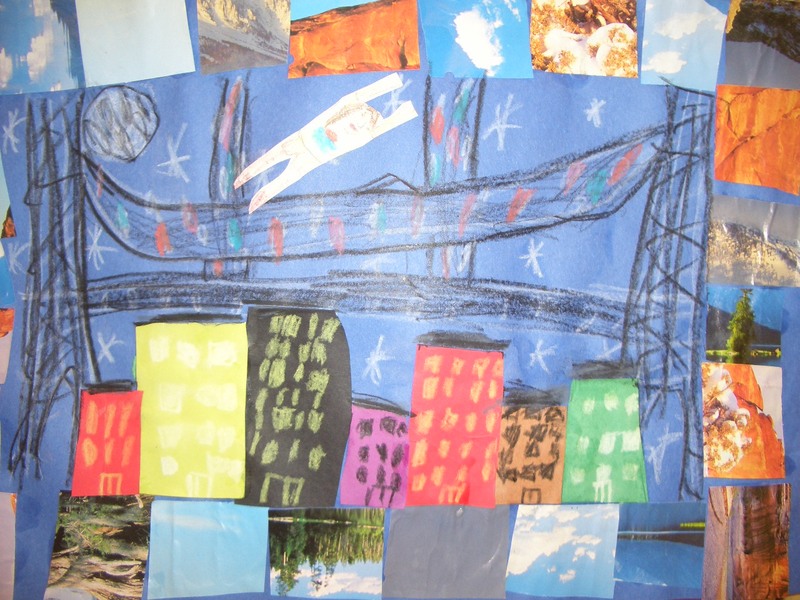 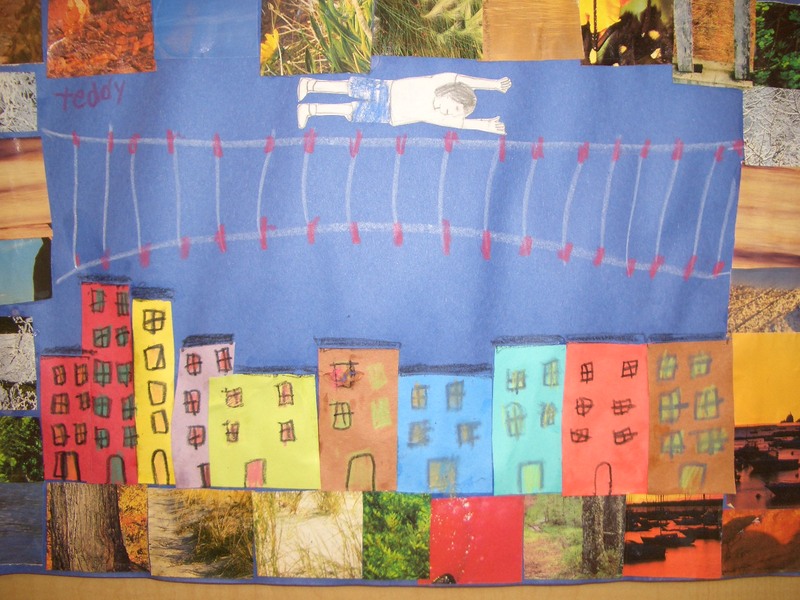 Grade 3 listened to the story Tar Beach by Faith Ringgold and then did a collage of skyscrapers using cut paper and crayon. 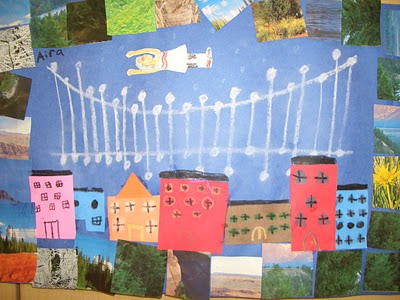 The bridge was drawn with chalk onto the blue background paper. 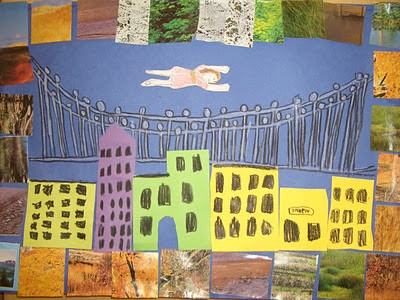 The figure of themselves was drawn with pencil and then cut out and pasted into the night sky. 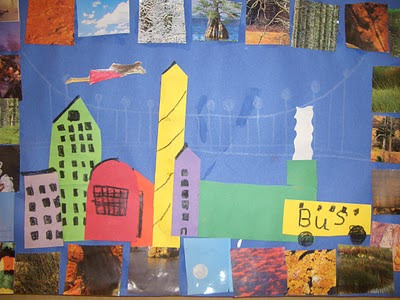 The collage border was done with cut up pieces of old calendar pages.